In the fall of 2011, Johnson & Johnson, makers of all-things baby care related, released a statement that they’d soon be phasing out chemicals in their products. This statement came about after the Campaign for Safe Cosmetics released an analysis of Johnson & Johnson “No More Tears” baby shampoo via a report, Baby’s Tub Is Still Toxic (pdf). This report, along with pressure from consumers and health and environmental groups to remove a formaldehyde-releasing preservative (quaternium-15) prompted J&J to rethink their formulas. Now, a new statement from the baby company has surfaced, in which they yet again promise to take action. The only difference? This time J&J appears to have a plan and timeline in place. Johnson & Johnson told The Associated Press in an exclusive interview this week that the company is well on track to reformulate all their baby products with safer ingredients, including Johnson’s No More Tears baby shampoo, by the end of 2013. The same interview notes that J&J intends to reformulate all adult products by the end of 2015. All this said, my opinion is that companies, including Johnson & Johnson, are keen on releasing press releases stating they’re focused on change, but are slow when it comes to actual practices. Personally, I’ll continue to buy safer, non-animal tested brands until I see some significant actions taken by Johnson & Johnson. In the fall of 2011, Johnson & Johnson, makers of all-things baby care related, released a statement that they'd soon be phasing out chemicals in their products. 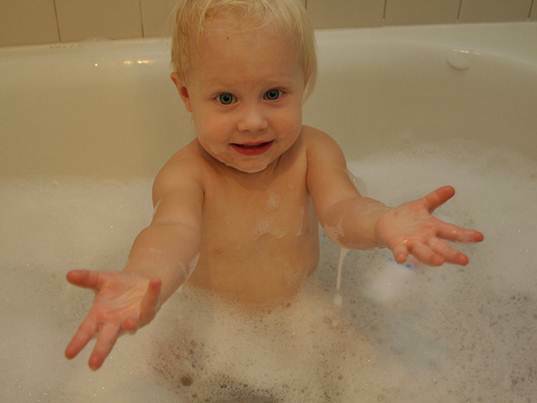 This statement came about after the�Campaign for Safe Cosmetics�released an analysis of�Johnson & Johnson��No More Tears� baby shampoo via a report,�Baby�s Tub Is Still Toxic�(pdf). This report, along with pressure from consumers and health and environmental groups��to remove a�formaldehyde-releasing�preservative (quaternium-15) prompted J&J to rethink their formulas. Now, a new statement from the baby company has surfaced, in which they yet again promise to take action. The only difference? This time J&J appears to have a plan and timeline in place. Johnson & Johnson told The Associated Press in an exclusive interview this week that the company is well on track to reformulate all their baby products with safer ingredients, including Johnson�s No More Tears baby shampoo, by the end of 2013. �The same interview notes that J&J intends to�reformulate�all adult products by the end of 2015.